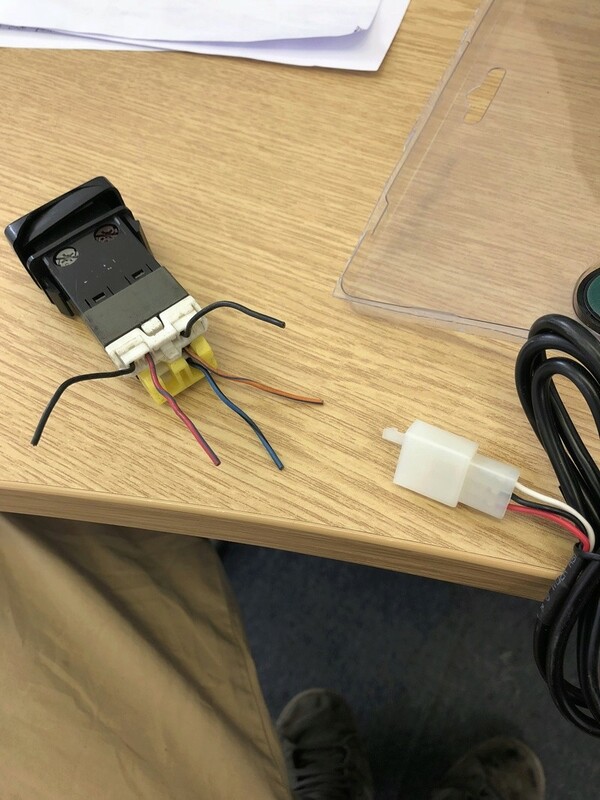 Anyone got one for the square fog light switch that fits in near the hazard light switch? There’s more wires there than I was expecting! pdf is oem fog wiring . I never did do well with reading wiring diagrams! Basically, this is what I need to do... see photo below. I want to cut off the supplies harness for the supplies switch and wire it into a dash switch. There are 3 wires from the relay assembly, not sure what each one does! But need to connect it up to the OEM switch, can anyone help? Have you not got a multi meter to check out the relay wires ? I know the top left 2 wires are the lighting circuit as I already have one of these wires up in the car for the rear dogs. The remaining 3 wires are permanent live, switch and earth. So I’ll just have to check the 3 wires I want to join.